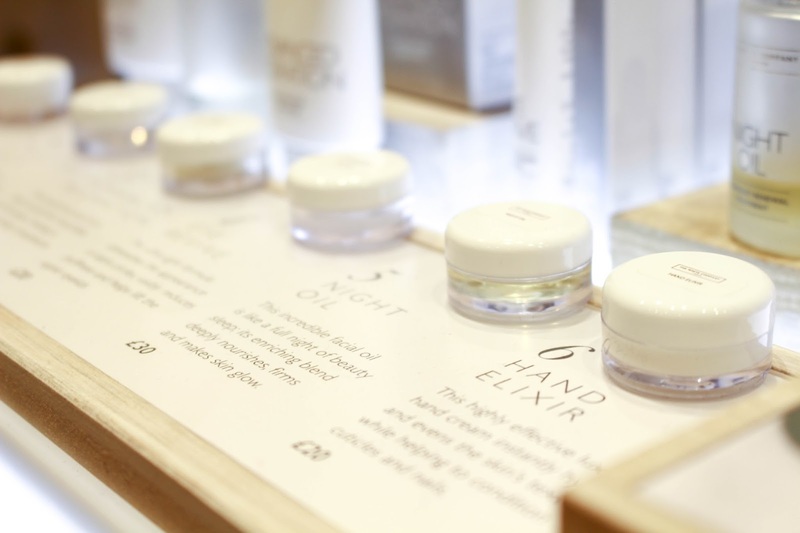 There’s A New Skin Care Counter In Town! Recently I was lucky enough to move jobs and start a new role as a customer assistant at The White Company. I love everything about it and all the wonderful people who work there but, today I am not here to review the job I’m here to review and tell you guys all about the amazing skincare they have launched recently. Now when I was told they were bringing skin care in I was super excited to see what it was all about as you guys know I am a huge beauty and skin care junkie and anything to benefit this face I am always interested in! Now one thing that made this skincare line really grab my attention is that it is in collaboration with the brand Deciem | The Abnormal Beauty Company a company I worked with back in the summer time. I loved everything I was sent and review a lot of it on my blog HERE .So they launched six essential pieces you all need in your routine, from oils to balms and even a hand cream! So I’m here to give you all the 411 and break down of this essential skin care. So lets start from the base, a day time Super Serum you use before applying makeup! This serum isn’t like any other, it penetrates deep into the skin and soaks in leaving you with fresh soft to touch skin without any residue and that’s why I am all behind it! I’ve been using this and all the new products for around 3-4 weeks now and I honestly saw a differences after a few days my skin was suffering from dryness and just and over all dull tone. Using this serum just helped boost my complexion and help me deal with that dull dehydrated skin. Advanced Hydration is exactly what you need under your makeup. Apart from helping me along with my super dry skin lately it’s been the perfect makeup base, it soaks in and leaves you with a beautiful smooth yet slightly tacky base. I’ve loved it so much that I put my primer aside and tested it out as a primer. Did it work? It came up to be exactly like my Hylamide Matte12 primer. My makeup lasted all day and didn’t budge so I’ve got to admit for a 2 in 1 for £30 I am pretty impressed. 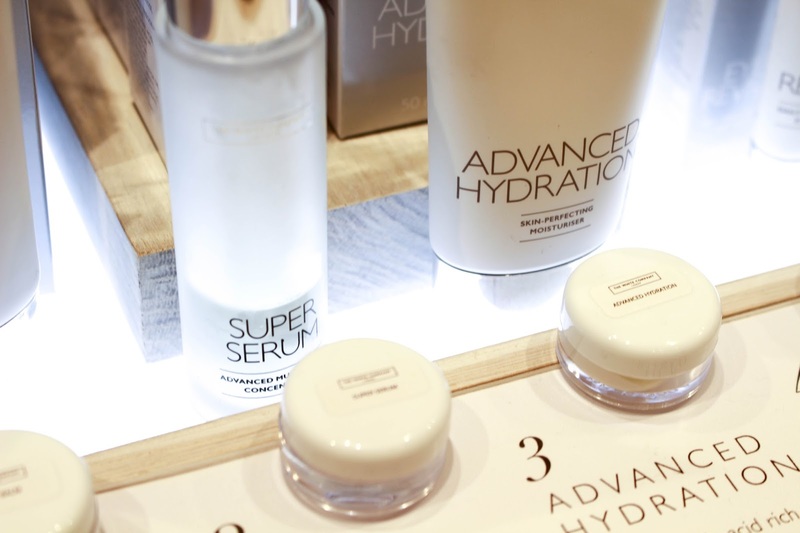 The Advanced Hydration is to be applied over the top of the Super Serum when soaked in. Now for what is possibly my favourite product from the line, the Super Balm. I honestly didn’t think anything could draw me away from my Body Shop Camomile balm. But here I am swapping to The White Company Super Balm. “Why?” you may ask because is isn’t a hard balm and this just makes it a lot easier to massage into the skin to remove make up and a hell of a lot easier to remove your eye makeup too. It is a liquid and a little goes along way but it sure does remove everything! It smells like a citrus haven of lemon and oranges and this is only a bonus for me. Now for something I was fighting with my mum over, the Eye Revive. This I tended to use in the night but I see no reason why you can’t use it in the morning time or both. It was really great and me and my mum kind of reviewed this together and both agreed that after it being applied it really tightened the skin underneath are eyes and this is something we loved! For me it helped with dullness and for my mum it made the skin a lot tighter and look more youthful so I think this product is a win win for all ages and thats something really great. As a 20 year old I do want to use eye cream because I want to look after that sensitive skin but most are marketed for anti-ageing which I don’t need yet so I think this is a great product for us all. Okay so it was a close call for my favourite product as I love it all but this has to be my second favourite, the Night Oil. I am a night time girl and really like to take the time in the evening to pamper my skin and this is the perfect product for that! It’s a nice thin oil not to heavy or thick so it’s very comfortable to sleep in. It’s also great that it soaks in quick and gets to work hydrating and penetrating the skin layers deep so you wake up with that firm and glowing from within look. Honestly everyday night that I used this product I woke up and said no to the makeup I also stopped concealing my face too because I just didn’t need to and I really feel it was because of this incredible oil. So honestly I hardly ever used hand cream and I only really started because I started working at The White Company because we sell some real good hand creams that smell amazing but I think the company have just out done themselves with this one. 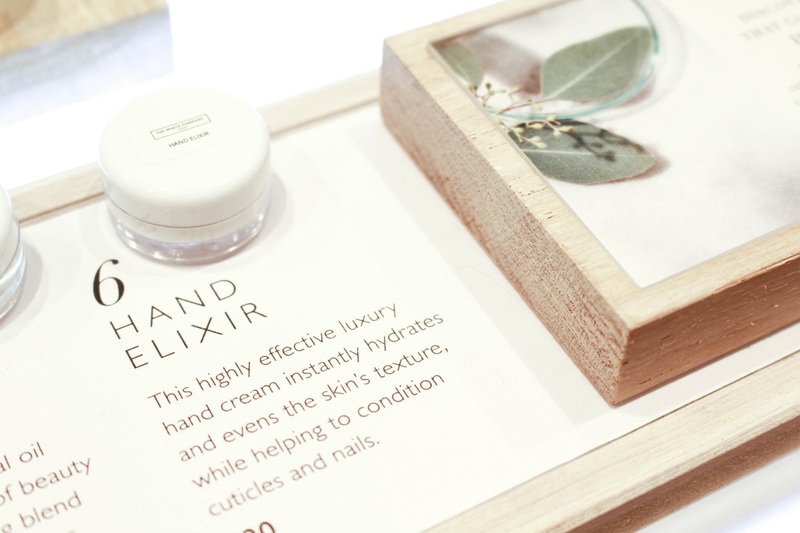 They brought in the Hand Elixir, because we all need to look after our hands, we put them through so much everyday they need a pamper to. The Elixir helped with dryness of course and your nails but it helps with the ageing, something you see from one instant use! I know it’s crazy but we only put out the best of the best. It also helps with pigmentation and dullness which is really great as I know I experience dull pigmentation especially in winter time. So now after that I’m sure you are all dying to know how much can all these incredible products cost? Well all 6 item in total is £165 which I know sounds like a lot but if you add up all your skin care right now I promise you yours may cost a little bit more. We are proud to say that our skin care pricing is around the same as Boots No7 and we beat prices like Elemis and Clarins. 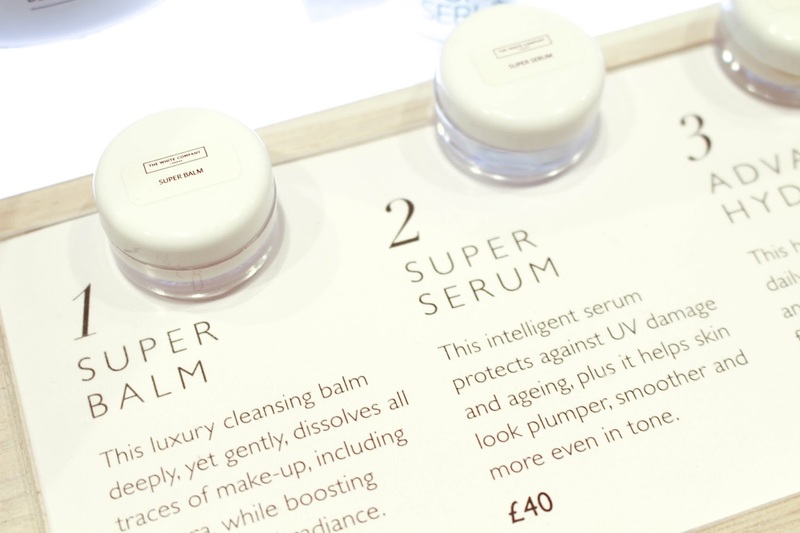 The Super Serum comes in at £40 which is the most expensive. 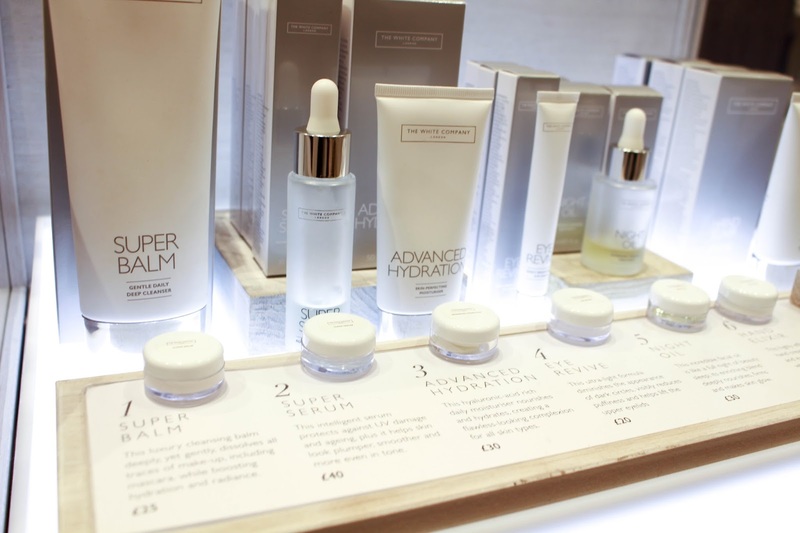 Advanced Hydration is £30 which for both a moisturiser and primer is bargain as my primer is around £20. The Super Balm I think is the best for your buck as you get a huge tube of 150ml which I honestly think could last me nearly a year because you use so little. 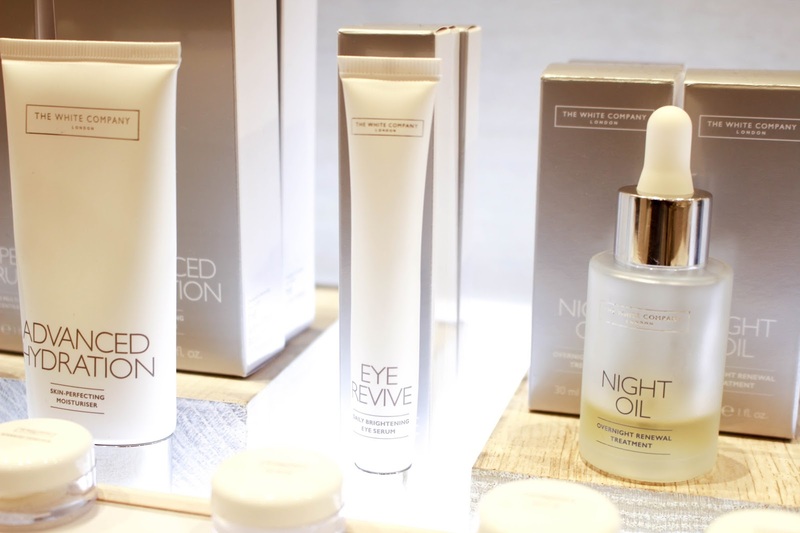 Night Oil is £30 and both the Eye Revive and the Hand Elixir are £20 each. 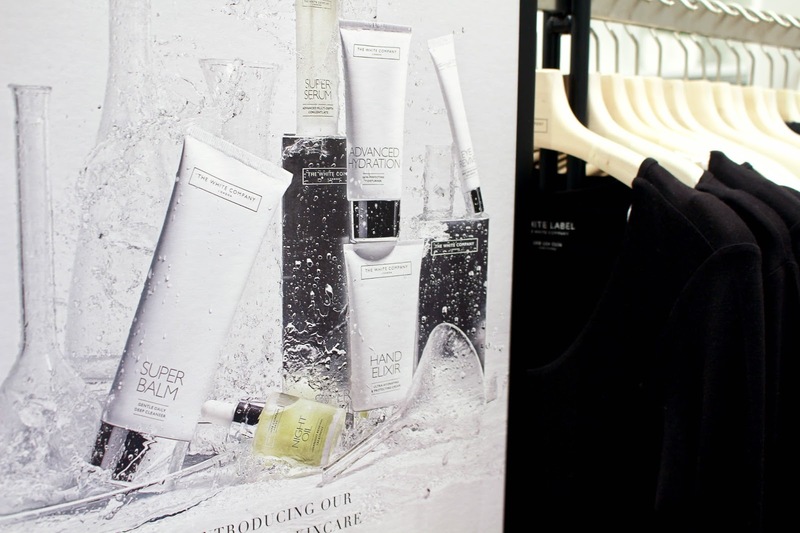 If any of my lovely friends or readers are interested in trying some of these products pop down to The White Company Liverpool store located at Peters Lane, Liverpool One. I’ll be there to talk you through everything and you can even sample the goods and I will show you the magic trick with the Hand Elixir. Next Post Balancing Student Life!